I was talking to some ppl i like today and even tho i like them some of them were saying they don’t like christmas! THIS IS IMPOSSIBLE when you’v got things like STAR and TREE and SNOWMAN! Snwman agree, and him ppl (the sno ppl) agree too. He’s got an invitation here for baby snatter to come to their big christmas party that the snowmans have every year in Snowmans-land. You have to fly to get there but it ok: when snata’s eyes went on it made his reindeer fly like i said on day 1, so they can fly him there! We’re finding out a lot about the traditional story of snata clas here aren’t we! We noe why his reindeer fly, why one got red nose, where chrsmas tree come from, where chocolt comes from, and why snata have fatness and beard growth power, among other thing’s. Now we know how snata got to know snowmen and have partys with them! we are seeing snata’s ORIGIN story! here’s my origin story: one year snater put an ORIGIN my stocking, it is his trademark. 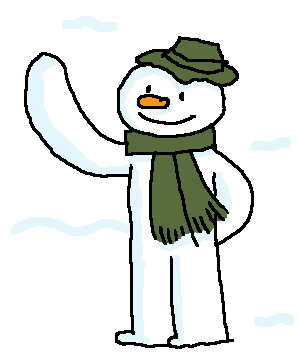 anyway there you go, and in that door is a chocolate Snowman. We’ll halve that and both have it. Oe! I knoe! Before we goe, we should ask the snoeman what he makes of that weird-shaped chocolate. Snowman? Have a look at this mate. What do you think it is? 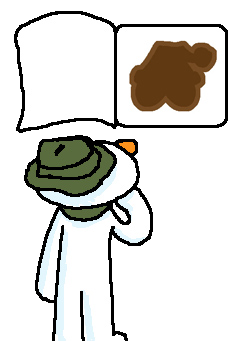 Everyone thinks it’s a bum or other such rude things with a christmas hat on, but I had a glimpse of what it was in a spiritaul experience, and it’s none of them. but it’s probbly a christmas hat thoe. Don’t touch it tho mate we’re too worried it might destroy the universe which would be really pants this close to christmas. Oh noe! Him’s eyes have gone funny as if the chocolate was too much for him to know! 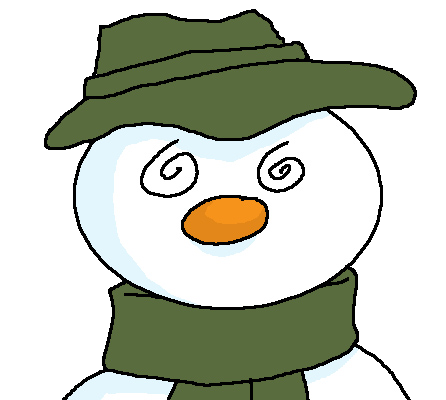 What’s that, The Snowman? Are you trying to tell us something? His voice is all strange. I will try and type what he’ saying. wow it’s like the words are just puking out of him! His eyes are stop swirling, but now they are like infy eyes, like looking in is the deepest holes in space, bigger than space looked when we were up in it, o m8s. WHAT IS THAT CHOCOLATE IN THE SHAPE OF?? It seems to make everyone all christmassey but also start talking about space and time and reality and that! I wonder if we’ll find out what’s going on before christmas happens? I mean we’ve only got a few days left now and THEN what? What shape is the chocolate? Why is that big star still heading towards us and what’s going to happen when it gets over here?? For now, until we can work something out, I’m closing that door with the weird chocolate in it again. It doesn’t even have a number any more. It is without number ? …and in those, the 25 door was sort of bigger, and sort of more special.